At Gembrook, the E.A.C. 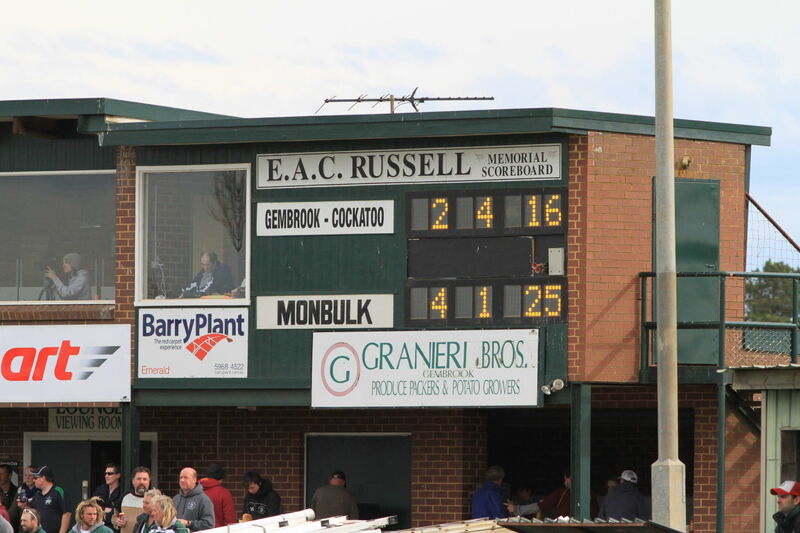 Russell memorial scoreboard is an example of the growing number of electronic boards at local grounds. 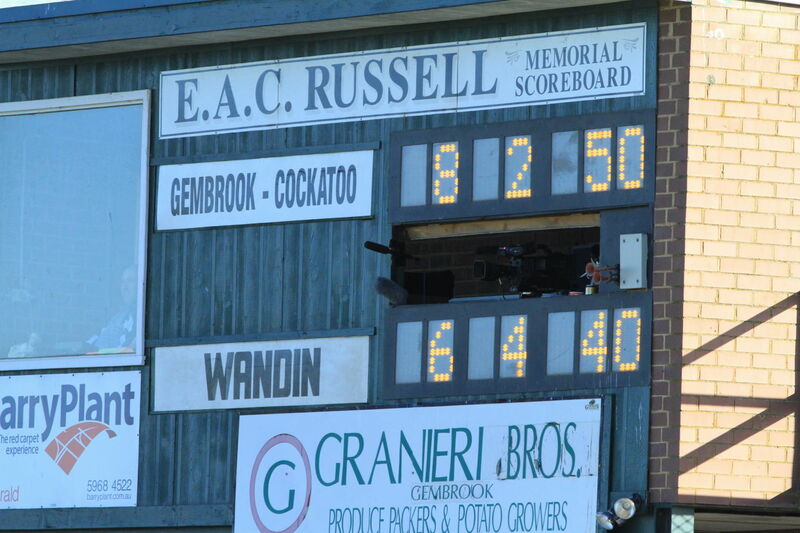 This scoreboard, named after a prominent local identity, was installed in 2008 to replace an interesting manual number-roll arrangement. The ground’s original scoreboard had been located on the outer wing in a space now occupied by an advertising hoarding. 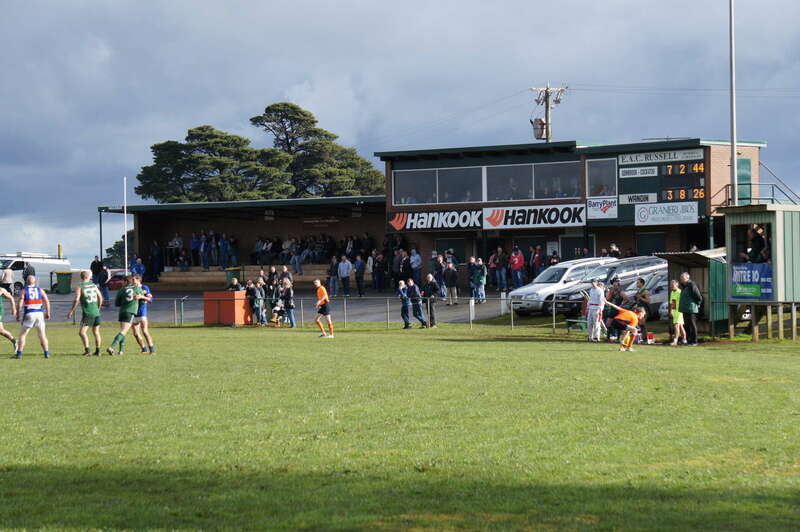 A regular YVMDFL finals venue, the Gembrook ground was opened in 1965 and is positioned in an exposed location on the crest of a hill. 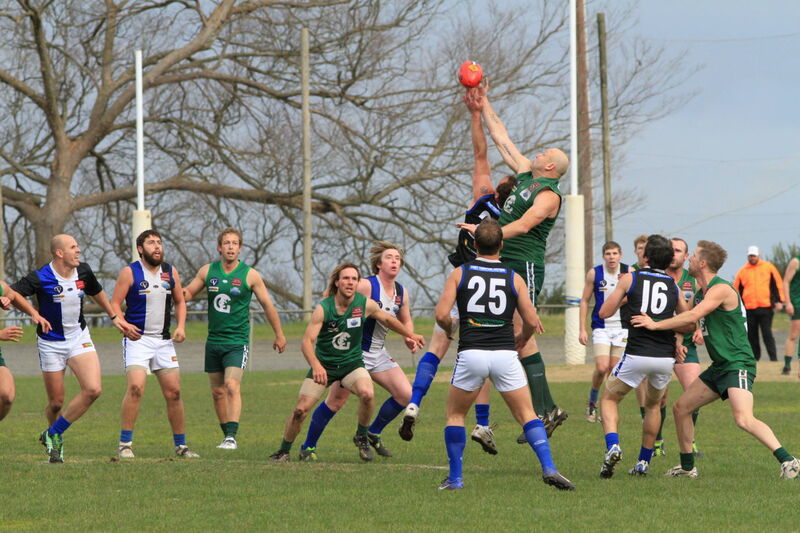 The Gembrook-Cockatoo Football Club had the misfortune of finishing as runners-up in the First Division of the Yarra Valley Mountain District FL in 2010-11-12. 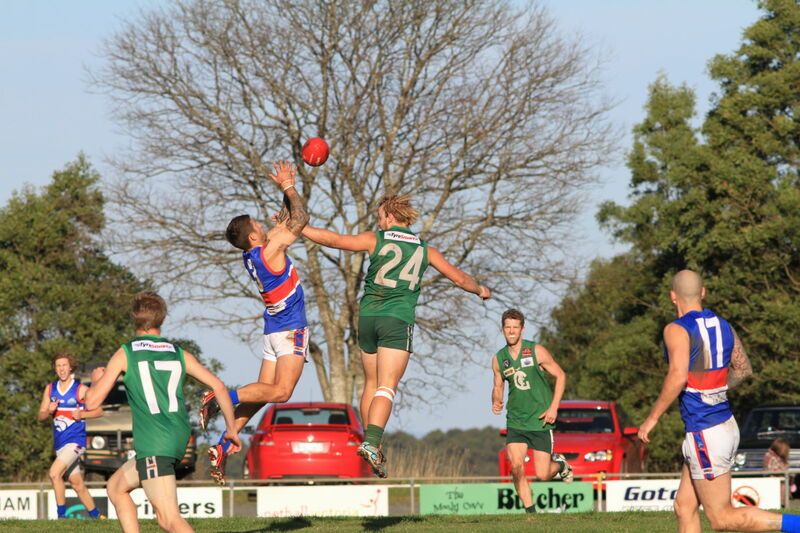 The end of that era was highlighted in 2013 when the club plunged to last on the ladder. It will play in Second Division this year, and has applied to join the Ellinbank and District FL from 2015. 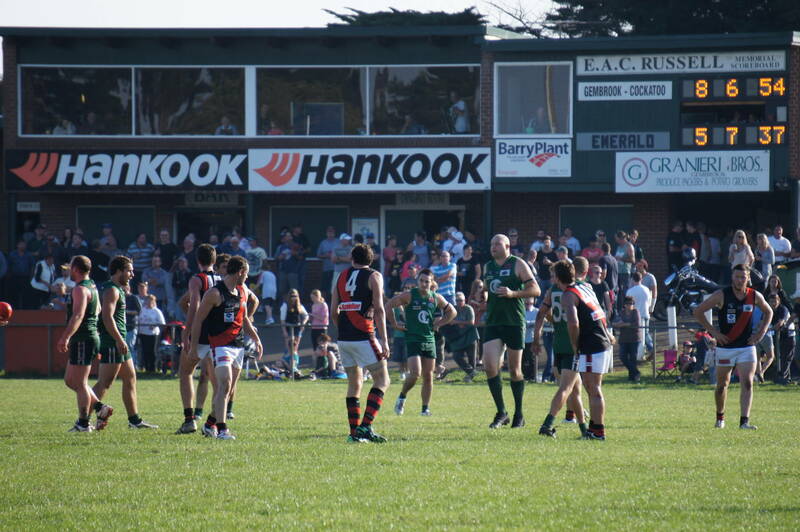 Gembrook-Cockatoo and Emerald attracted a big crowd to their local derby early in the 2012 season. The pavilion at Gembrook in 2012. 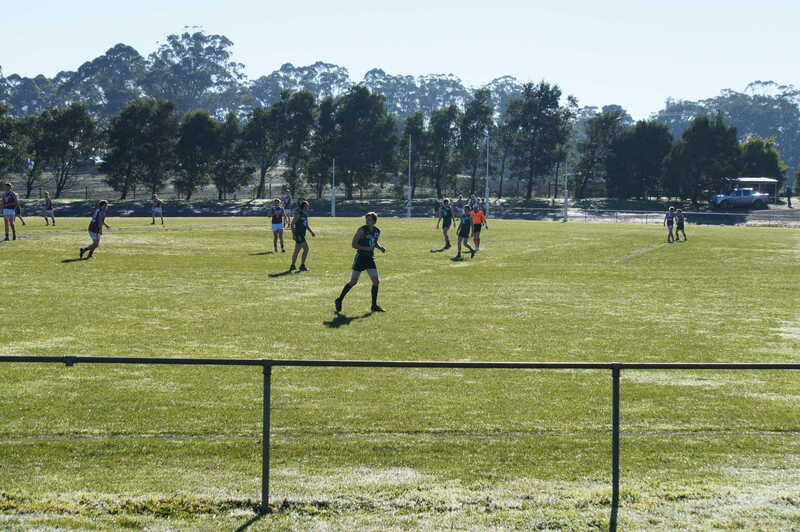 Gembrook-Cockatoo and Mount Evelyn 3rds players kicking the dew off the turf in 2012.